Three months ago, the Endresen’s were focused on work, school and caring for their 14 year old son Jaggar. In November 2017, a doctor’s visit turned their entire world upside down when they learned Aaron needed a heart transplant at the young age of 41. 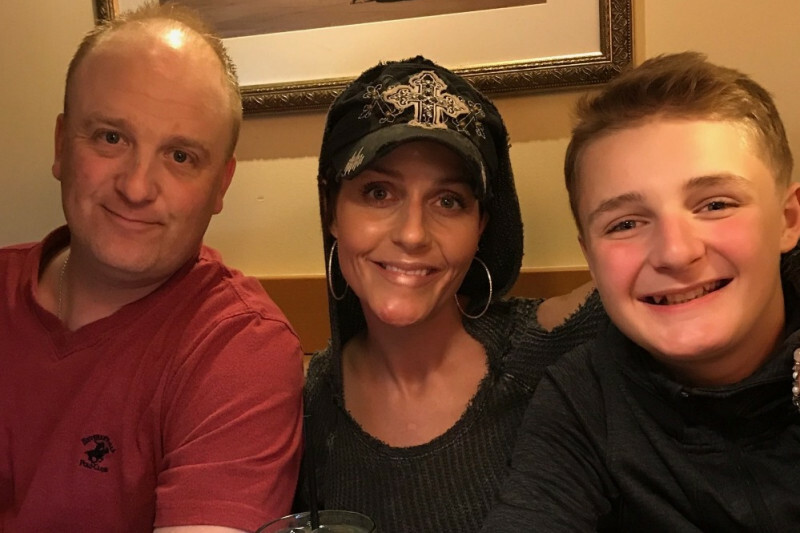 Please take a few minutes to read Aaron’s story as told by his wife, Myriah, pray that he lives a long and full life, and consider donating to help ease their significant financial burden. Any amount helps. Aaron is someone who has consistently helped others, now he and his family need ours. In 2016 at just 40 years old, Aaron was diagnosed with heart failure. We were shocked and in denial. But we were encouraged by the news that medication could prevent his heart from getting any worse and keep it functioning at 87%. Initially the treatment worked. We were so grateful that his prognosis was good especially with a child in junior high and so much life ahead. More than a year passed and Aaron had a follow up echocardiogram. We were called back into UW Cardiac Clinic and the doctor let us know that the medication therapy had stopped working. 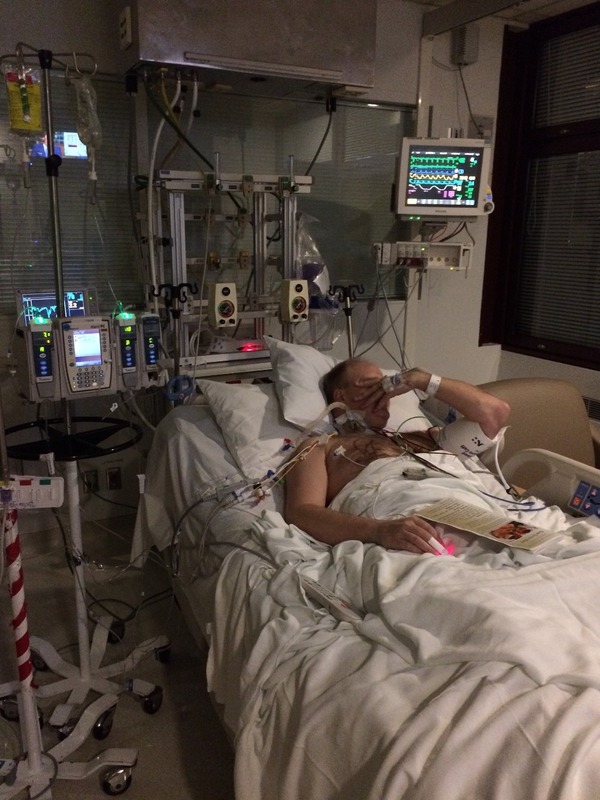 We were given a transplant manual and told he had to start transplant workups. Aaron and I just were in shock as a “Heart Transplant” workbook was handed to me, like it was paperwork to research a new car. We were both scared and worried that we wouldn’t have enough money to get Aaron a new heart. Aaron IMMEDIATELY scheduled one of the most invasive transplant workups to meet insurance requirements before the New Year. 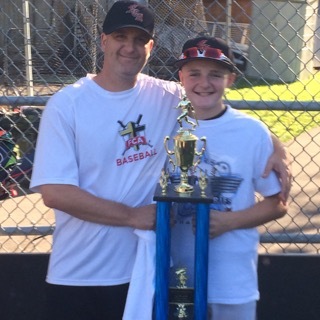 Aaron is the head coach for FCA 14U and our son Jaggar is one of the players. With all of my heart I believe he lives for these boys. He loves this team and FCA as much as our own family. Coaching is what I believe kept him blind from knowing he had severe heart failure. Aaron just kept saying what am I going to say to my team.? Aaron and I both agreed we would tell the kids when the transplant workup was done or when we knew more. The doctor told us it could take a year and a half just to complete the workup. Aaron was to continue living his life normally especially since he wasn’t feeling anything major. Once you get the transplant workup done..THEN you go on a transplant list. This could take another year or so. Basically at a minimum Aaron was a couple years out from getting a new heart. In December 2017 our story took a turn for the worse. During Aaron’s very first transplant workup appointment he was sent to the ICU. His heart was now functioning at 17%. They didn’t know how Aaron was physically able to walk in to the appointment. We were told that Aaron wouldn’t stay alive long enough to get a new heart. While in the ICU the team of transplant coordinators completed the entire transplant workup in five days. We were told Aaron needed a heart pump but if it didn’t work his prognosis was grim. There is so much more to our story that is pretty down right awful. Such as insurance not allowing a pump to go in until Aaron was officially on the transplant list. Timeline .......Friday December 1 ICU. Wednesday December 6th transplant workup completed. Thursday December 7th..40 doctors met at 8:30am and approved Aaron for a new heart. Same day 4pm insurance gave the go ahead for the pump. Friday December 8th 8:30am heart Pump Surgery. If you’d like to learn more our story is on Caring Bridge. The pump is working and we are waiting now for a transplant. We are grateful for every day but this situation has brought much stress compounded by the fact that our money is depleted. Aaron used up all his vacation time and has been without pay. We are paying out of pocket monthly just to keep insurance and to stay on the transplant list. I am disabled and Aaron’s ability to work is limited. No matter how much you save it is scary to even post how much this whole process costs. This shouldn’t even be a worry especially when you have a child to feed. A heart pump alone is beyond our means. A new heart is next and I don’t want to know. ONE DAY AT A TIME! Thank you for your prayers and support. Thank you to all of you who have prayed, donated and shared Aaron's story. Here’s an update from Myriah. Thank you friends, family and the anonymous donors who have been there for us! I can’t explain how it feels and I don’t think words could ever do it justice but we are more than grateful that the whole community has come forward for us. Please know that each and every one of you have a place in our hearts. Even Aaron’s broken one that will hopefully get fixed soon. We have an exciting update to share. The heart committee met and decided that it’s Aaron’s lottery time and for the next 30 days he will be listed as 1A or top priority. This opportunity only happens once during your heart transplant wait and it means that any heart coming in that matches Aaron’s body and blood type will go to him. If he doesn’t get a new heart in this 30 day period then he will go back down to a 1B (essentially second in line and where we’ve been since he got the heart pump). The next 30 days will be stressful but if anyone can do it we all know Aaron can!!!! Jaggar is staying strong as well. We all worry about him but he is resilient and staying strong for his dad. 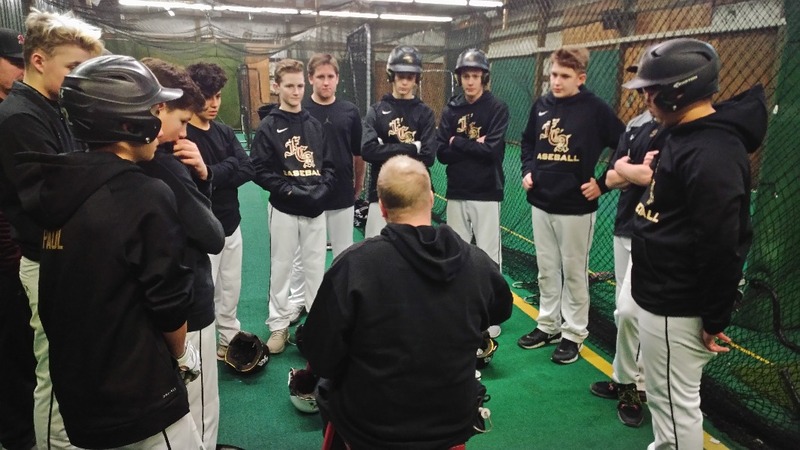 Aaron's been in and out of the hospital the last few weeks but he's also made it to a few days of work and spent some time coaching the FCA baseball team too. His ability to look beyond his need for a heart transplant and embrace the days he's well enough to live his life is amazing.